IHOP / Forerunner Music has released “Little Bird” through Forerunner Music and all songs are now loaded into WorshipTeam.com “Little Bird” is a recording of some great new songs. 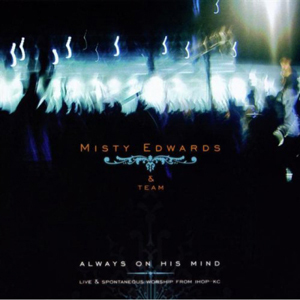 While the name Misty Edwards may be synonymous with artistically-minded worship leadership, when it comes to the brand new release Little Bird, which comes on the heels of last year’s critically lauded long player Only a Shadow, there’s a decidedly different slant towards the singer/songwriter side of this immensely talented artist. One of the reasons there is a new direction heard on Little Bird is that Misty wants to encourage others in the worship movement to think outside the box and not be limited to corporate expression. “A lot of worship leaders feel limited and frustrated creatively, but we’re called to so much more as Christians, even when it comes to our typical definition of worship,” shares Misty. “I also wanted to channel the kind of music I personally listen to, so it’s also a case of being authentic to what I like. I strongly believe there’s a whole group of listeners who won’t gravitate towards worship music because they have a taste for a different kind of creativity, and it was in my heart to reach those people.” All songs are loaded and ready to use- just access your WorshipTeam.com system database. IHOP / Forerunner Music has released “Return” through Forerunner Music and all songs are now loaded into WorshipTeam.com. “Return” is a recording of some great new songs. Originally from Argentina, Pablo and his wife, Andrea, spent seven years as missionaries in Mexico, involved in pastoring a church and leading worship at several stadium crusades. Since April 2001, Pablo and Andrea have been intercessory missionaries at the International House of Prayer, where he has served as a worship leader, musician, and singer. 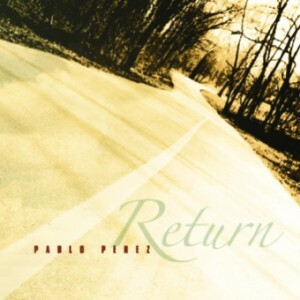 When creating music, Pablo interweaves melodies and lyrics crafted to awaken eternity in the human heart. His lyrics are scripturally based, combining biblical prayers with majestic orchestration. Pablo’s vision is to lead millions of people into the throne room of heaven, that they would know the very presence and majesty of God through the power of prophetic worship. He longs to convey a clear understanding of the gospel of the kingdom. Pablo has also written books and study courses, and ministers in various conferences around the world. He and his wife have joined themselves to the corporate vision of the International House of Prayer. All songs are loaded and ready to use- just access your WorshipTeam.com system database. IHOP / Forerunner Music has released “Always on His Mind” through Forerunner Music and all songs are now loaded into WorshipTeam.com. “Always on His Mind” is a live recording of some great new songs. Dive deep into intercession, into the Word and into the passionate heart of God. From the International House of Prayer in Kansas City, Forerunner Music announces the release of Always on His Mind, a live recording capturing Misty Edwards and her team singing songs born of prayer and worship. Tracks: 1. See the Way 2. Favorite One 3. Always on His Mind 4. What Only You Can Do 5. I Will Run 6. As in the Days of Noah 7. Baptize My Heart 8. I Am Yours. All songs are loaded and ready to use- just access your WorshipTeam.com system database. IHOP / Forerunner Music has released “Point of Life” through Forerunner Music and all songs are now loaded into WorshipTeam.com. “Point of Life” is a recording of some great new songs. 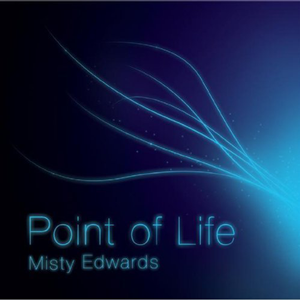 Point of Life features songs by Misty Edwards, along with a few favorites written by her friends. On this reflective album, Misty unleashes a creative edge and an experimental sound, inspired by her devotion to the Lord. From ethereal vocals to deeply personal lyrics, Point of Life combines the power of music with the art of storytelling. The Chapman Stick, played by Dave Wiens, brings a unique energy to several tracks, while other songs are quiet devotionals born in the secret place. Allow this music to lead you into deeper devotion to Jesus through the wonder of loving and living to worship. All songs are loaded and ready to use- just access your WorshipTeam.com system database.